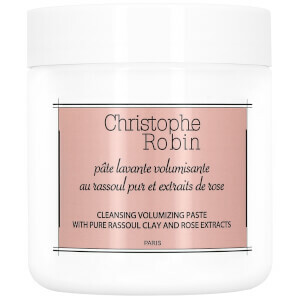 This innovative Christophe Robin Delicate Volumizing Conditioner with Rose Extracts gel formula enriched with rose oils extract and baobab leaves, moisturizes the hair and locks the acid pH balance into the fibres, to limit the pigments escaping so color remains brilliant and fresh. 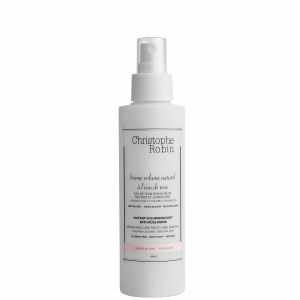 I love this conditioner - it creates volume but does not weigh my fine hair down. 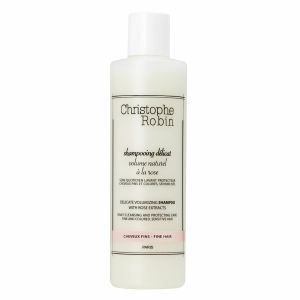 After washing and conditioning my hair I use a leave-in conditioner for blow-drying. My hair and great volume and smells like fresh cut roses. It' pricey but worth it - especially if you stock up during a Skinstore sale.